Angela Merkel's election on Sunday (24 September) for a fourth term might open her most difficult period yet as chancellor, while limiting her room for manoeuver in talks on EU reform. All of that at a time when Germany faces many challenges both in Europe and on the global stage. 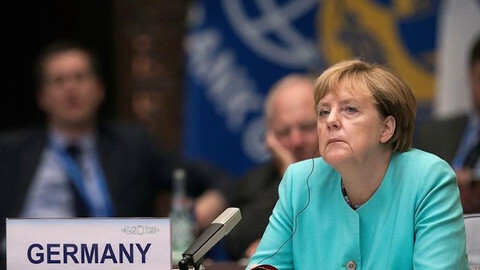 That inherent instability may limit her room for manoeuvre, particularly when it comes to meaningful eurozone reform. Her party, the Christian Democrats (CDU) and their Bavarian allies, the Christian Social Union (CSU), may have been the strongest on the night, but they suffered substantial losses - down to 33 percent from 41.5 percent in 2013. 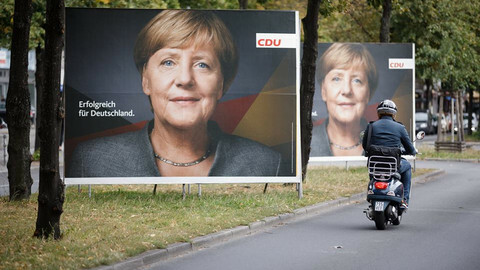 It is clear that Merkel's centrist policies and the refugee crisis alienated many of her party's conservative supporters, with one million CDU voters switching to the right-wing, anti-immigration Alternative for Germany (AfD) party, which also mobilised 1.5 million non-voters and poached support from the other parties too. One of the poached parties was her coalition partner, the Social Democrats (SPD), who received a historic drubbing - scoring just 20.5 percent - their worst election since World War 2. Almost immediately after the first exit poll at 6pm the party's leader, former European Parliament president Martin Schulz, declared the SPD was going into opposition, saying that the "grand coalition" (between CDU/CSU and SPD) had been voted out. That leaves Merkel with just one option for a majority government - forging an awkward alliance with the pro-business Free Democrats (FDP) and the environmentalist Greens - dubbed the "Jamaica Coalition" because of the party colours. Ostensibly, that could prove difficult, with the smaller parties showing plenty of animosity towards each other during the campaign. But the noises on election night looked positive, and both parties emphasised their intentions to act responsibly. The fact that both smaller parties did relatively well should also embolden them to enter into a government with the slightly diminished Christian Democrats. During the traditional TV round-table of party leaders on election night, FDP leader Christian Lindner told his Green counterpart, Katrin Göring-Eckardt, that his party had "no problem" with environmentalism and fully supported the implementation of the Paris Climate Accords. Furthermore, both parties' clientele, the higher-earning middle classes, favour issues like digitisation, education and the modernisation of infrastructure - albeit with different priorities. And while there's never been a federal Jamaica coalition, such an alliance is currently in power in the German state of Schleswig-Holstein and also recently governed the small state of Saarland. Nevertheless, differences persist, particularly when it comes to the eurozone. 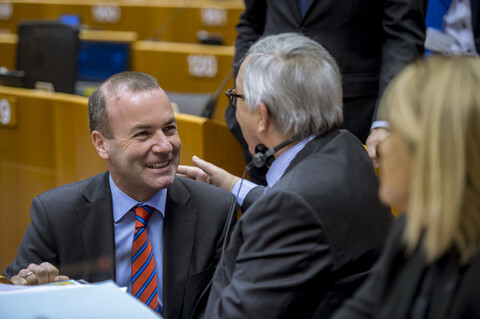 The Greens are in favour of further EU integration and they want to see the European Stability Mechanism turned into a European Monetary Fund, supervised by the EU parliament. The FDP, which has suggested Greece leave the eurozone, wants to see the ESM diminished and eventually shut down, while advocating for the establishment of mechanisms to exit the eurozone and to manage sovereign restructuring. On election night, Lindner made it clear that he would not back extensive eurozone reform, particularly a eurozone budget or anything that smacked of fiscal transfers within the currency bloc. "Providing money for French state spending or to compensate for Silvio Berlusconi's mistakes is inconceivable for us and will be a red line," Lindner said. 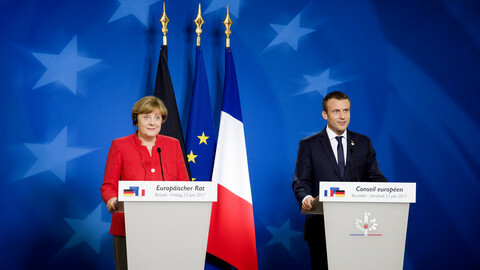 As such, the hopes in Brussels and Paris of a new Berlin government falling in line with French president Emmanuel Macron's visions for a deep eurozone reform, including a eurozone finance minister and budget, could be dashed. 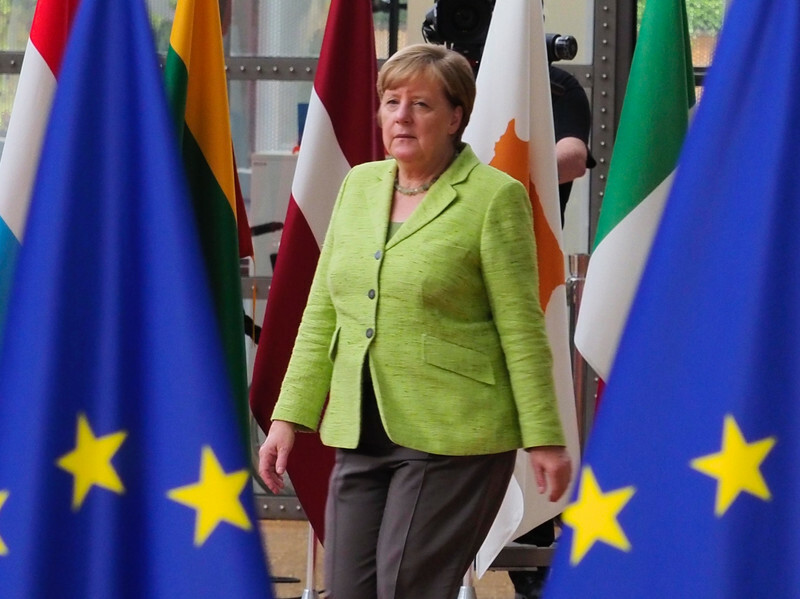 Nevertheless, the FDP influence will likely be balanced out by the pro-European Greens, argues Carsten Nickel of Teneo Intelligence, a political risk firm. 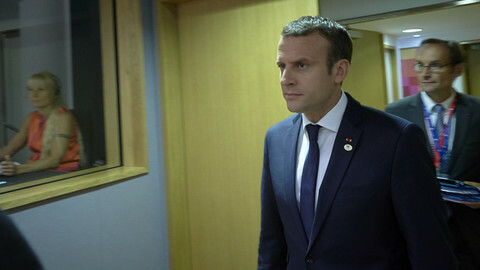 "I don't agree with those who paint this as the beginning of massive new problems for Greece or the end of those plans for a eurozone built up with France," he told EUobserver, adding: "Nothing more than an incremental reform project at the European level was on offer anyway, regardless of the coalition." If the parties can hammer out a coalition deal, the tone of Berlin's future government in Europe could very much depend on who fills the important finance ministry post. Merkel had made it clear before the election that she favoured keeping veteran politician, 75-year-old Wolfgang Schaeuble, in the job. But with three parties, or four if the CSU is counted, in the mix, there could be difficulties holding on to this most important ministry, which the FDP had already said it coveted. It could take months before any new ministers are appointed, with tough negotiations required before the parties can hammer out a coalition agreement. It must not be forgotten that Germany is in constant election mode, with the important state of Lower Saxony going to the polls on 15 October. Merkel said on Sunday (24 September) that coalition talks are unlikely to start in earnest before then. Furthermore, the CSU, which had a deeply disappointing night, is likely to play hardball since it is facing difficult state elections in Bavaria next year. The Bavarian premier, Horst Seehofer, who had been a thorn in Merkel's side over the refugee crisis, on Sunday said it was time to shore up the "right flank." That could make the CSU the toughest nut to crack in the federal coalition talks, particularly when it comes to an alliance with the Greens. On Monday, the former Bavarian premier, Guenther Backstein, said the CSU and the Greens were "like fire and water." Furthermore, FDP vice-chair Wolfgang Kubicki has said that talks on a Jamaica coalition will "not be a sure-fire success." 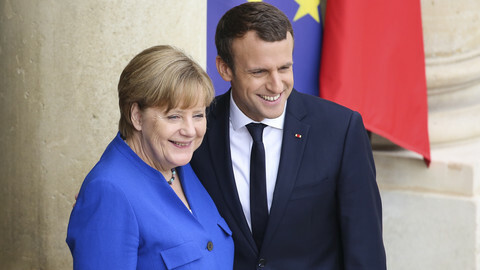 The election also showed that Germany is not immune to the right-wing populism that has affected many European countries, although the AfD score of 12.6 percent was modest compared to other European populist parties, such as the French National Front or the Freedom Party in Austria. 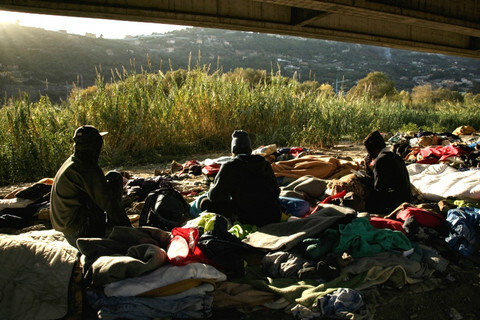 Some 87 percent of voters rejected the avowedly anti-refugee populists after the country took in almost one million refugees in 2015 and is still facing the challenges of integrating them. However, the result is still a shock for many Germans to have a party that includes Holocaust deniers, racists and Islamophobes, enter parliament - the first right-wing party to do so in over 50 years. Even though the AfD won't play a role government, it will have a platform and official resources at its disposal. In fact, one reason the SPD said it would not revive the grand coalition was to prevent the AfD being the main opposition party. In the former East German states, the AfD emerged as the second largest political force. And, in its stronghold of Saxony, it is now the biggest party. That points to deep divisions in the country almost 30 years after the fall of the Berlin Wall. It is worrying that "you are losing out on large chunks of the population, who do not feel represented, either in economic terms nor in cultural terms," said Nickel of Teneo Intelligence. "The centre will have to put in a bigger effort here to come up with answers that speak beyond the liberal centrist consensus." 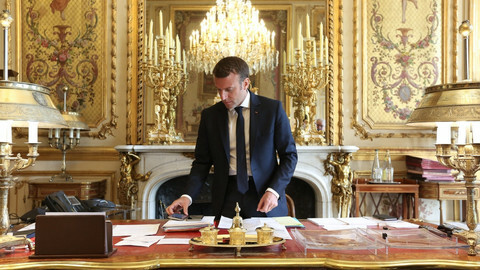 French leader seeking to "rebuild Europe" with "pioneer" groups of pro-integration states. But German coalition talks could hold him back.